Critically acclaimed set designer Mia Stensgaard has for the past twenty years worked in all the major theatres in Copenhagen and abroad. Mia has successfully designed sets for more than fifty productions embracing the modern theatrical performance as well as the classical repertoire, opera and ballet. Her most outstanding work include set designs for Tannhäuser and Manon (by Sir Kenneth MacMillan) just to mention a few, and she has worked with great international profiles such as director Krzystof Pastor. In 2011 she created a magical papercuts scenography and fairytale costumes for Bournonville’s A Folketale at The Royal Danish Theatre, for which she received great critical acclaim when the Royal Danish Ballet toured New York and Washington. 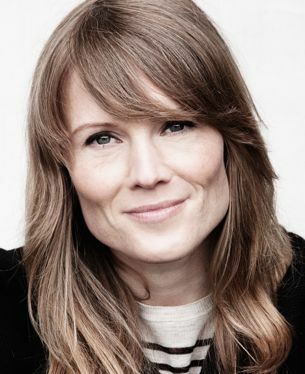 Mia is also working as Production Designer on film – Men and Chicken – for which she received the prestigious Danish Film Academy Award Robert and the Henning Bahs Award in 2016. She also did the production design for all three seasons of Danish popular TV-series The Legacy and most recently the Danish feature Film Queen of Hearts, which'll hit the Danish cinemas in 2019. In 2018 she was the recipient of the prestigious Honorary Scholarship from the Danish Vilmhelm Hansen Foundation. Mia Stensgaard is also Co. founder of Vang Steensgaard Couture Curtains and Interior.